The performance sailing hardware manufacturer’s design team has been working on the project for over a year and the prototypes have been tested by Team Allen sailors. 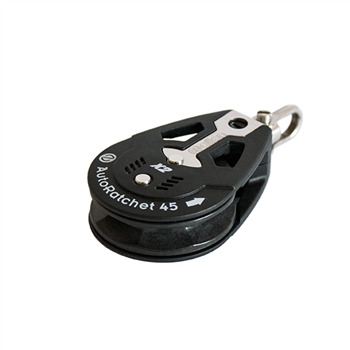 In fact the prototype 45mm auto ratchet already has several world class wins to its credit. The new “X2” pawl system which incorporates two pawls into the mechanism for the ratchet block allows the load to be evenly shared between both pawls, this allows the block to withstand higher working loads while also increasing both the reliability and longevity of the block when compared to the outgoing model. Allen will be accepting pre orders of the AutoRatchet’s from mid-November with delivery expected in early 2018.